Signs Visual specializes in custom imprinted coroplast and corrugated plastic signage in NYC. Our coroplast signs are typically used where bulk or volume quantity is priority. Cost per unit is greatly reduced with this cost effective material produced in multiple units. These corrugated plastic signs are printed with direct to board UV inks and exceptional color and resolution that will not fade away in sunlight. 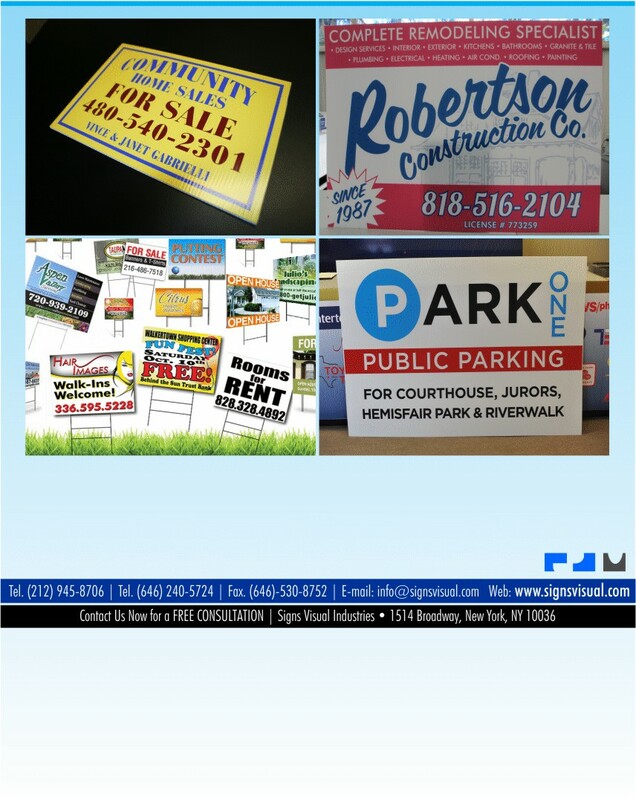 Contact us today for your next coroplast signs project in New York, NY!